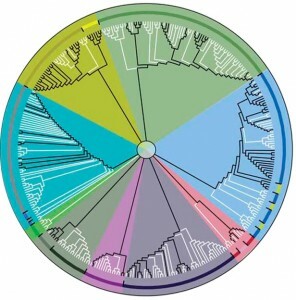 Our next PhyloPizza event will take place on Tuesday, November 11, at 5:30pm on the University of Maryland campus in College Park, MD (Room 1103 of the Bioscience Research Building). Jack Sullivan will give a talk entitled “A Comparative Phylogeographic Approach to Predicting Cryptic Diversity- The Inland Temperate Rainforest as a Model System.” Join us! Keep up to date with future events here. Flier for this event here. Red Siskin Recovery Workshop gets IUCN attention! The IUCN Captive Breeding Specialist Group (CBSG) reported on the SCBI Red Siskin Recovery Workshop in their October monthly eNewsletter, available here. Congrats to Mike and Brian! 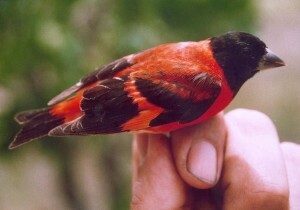 For more information on the project, see the “Red Siskin Recovery” tab.